Chief Marketing Officers will own the customer experience. Eighty-six percent of CMOs and senior marketing executives believe they will own the end-to-end customer experience by 2020. 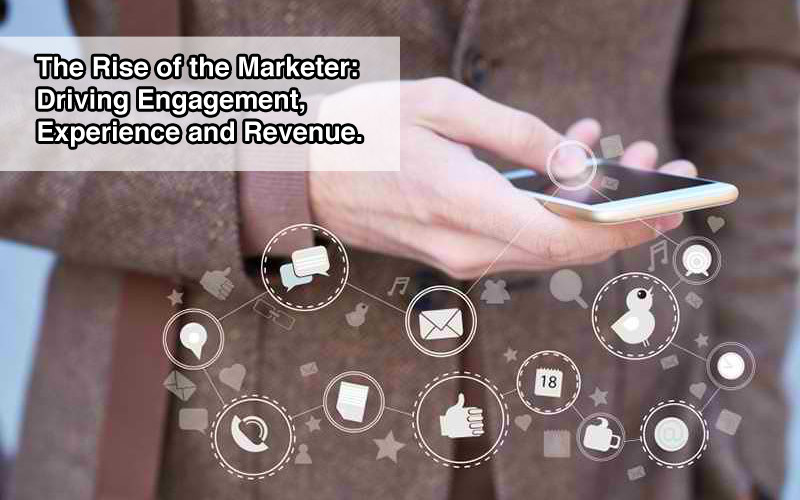 The EIU explored this trend last year in The Rise of the Marketer: Driving Engagement, Experience and Revenue. Future innovation will focus on small screens and no screens. Mobile devices (59%), personalization technologies (45%) are the two technology-specific trends that will have the biggest impact on marketing organizations by 2020. Today, the primary task of CMOs is to deeply understand customer buying behavior and intent; deeply understand the context of where someone is in their decision journey; be able to predict what they’re most likely primed to do next; and be ready to influence them at the right moment. CMOs will reorganize their departments around data, and analytics, personalized customer experiences as a core strategy for creating and growing the value of brands. The survey data suggest there is not a lot of time for CMOs to get things right. Survey respondents agree that marketing complexity has picked up speed and scale. When asked to compare which trends in the business environment will change marketing practice the most by 2020, respondents listed the accelerating pace of technology change, mobile lifestyles and the explosion of potential marketing channels as their top three choices. The specific technology trends that are driving those business environment changes by 2020 are mobile devices and networks, personalization technologies and the Internet of Things. According to the CMO Council, personalization blends a deep understanding of a customer’s wants, needs and desires with timely and tailored delivery of relevant content, products and services. However, when marketers are asked about the top three channels for customers in 2020, social media increases sharply for marketers, while the World Wide Web declines. By 2020, mobile apps and mobile web will overtake e-mail as a top channel to the customer. This suggests that by 2020, more marketers expect they will interact directly with their customers through technology and personalization than interact indirectly with their customers through media and advertising. By 2020, almost 90% of marketing dept. will drive business strategy. CMOs have become laser-focused on CX because it directly hits both the top and bottom lines of business. Moreover, nearly 90% of survey respondents believe marketing departments will exercise significant influence over business strategy by 2020, while nearly 80% say marketers will exercise the same influence over technology. Elevating a personalized, efficient and consistent customer experience requires that CMOs integrate multiple departmental agendas under a single umbrella. Most CMOs readily admit that this is often a long, tough slog. But in the same breath, they acknowledge that better customer experience is the foundation for business performance. By 2020, revenue impact remains the top metric, with every other measure playing a more or less equal role in a suite of measuring capabilities. Lets finally admit that consumers’ everyday lives rely on mobile. According to data released by ComScore in April 2016, smartphone penetration in the US is now at 80%. 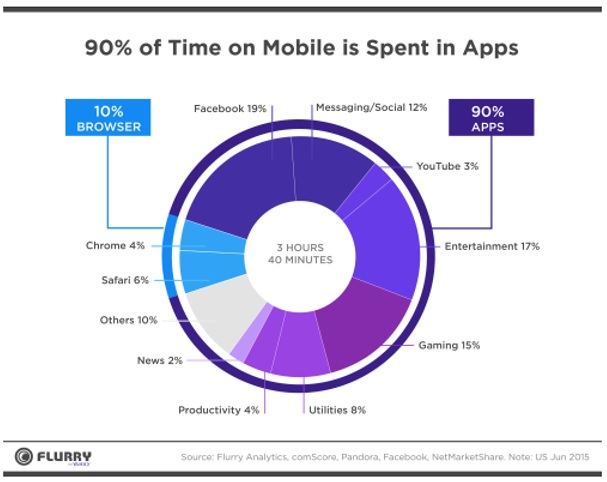 Consumers average 40 to 70 apps on their smartphone and the U.S. is far and away the highest consumer of monthly data, spending a staggering 4.7 hours per day on their smartphone and approximately 80% of that time (3.7 hours) on mobile apps (including mobile web browsing). This means that we spend approximately 20% of our waking hours on apps. Sure, using your smartphone isn’t mutually exclusive with completing other activities, but still, 3.7 hours is a significant chunk of the day. An August 2015 Millward Brown Digital survey revealed that 43% of US smartphone owners used 4 to 6 apps on an average day. The same study found that 72% of smartphone owners deleted an app because they rarely used it. Other causes of deletion were because the app was draining the device’s battery, as well as a need to free up memory on their smartphone. Looking to combat deletion and lack of usage, many app marketers have been turning to app retention, a metric used to gauge how valuable an app is to consumers. The corporate decision regarding mobile web vs native app is a complex strategic endeavor. To be sure, not all consumer facing companies can justify a highly developed mobile app. However, businesses are not re-imagining their mobile experience fast enough. The vast majority of businesses have failed to innovate at anywhere near the same pace of consumers’ demands and expectations for mobile. Better connectivity, more and smarter devices plus the proliferation of apps means that consumers’ everyday lives are now mobile. Multitudes of businesses will fail if they don’t drastically change their approach to meet and exceed consumers’ mobile expectations. Mobile is fundamentally different than the Web, and it needs to become part of an organization’s DNA. It provides the opportunity for a bi-directional, real-time, interactive relationship with end users - however most companies simply aren’t taking advantage of this yet. Innovation feels like it has a shelf life of zero. The user journey is no longer linear. 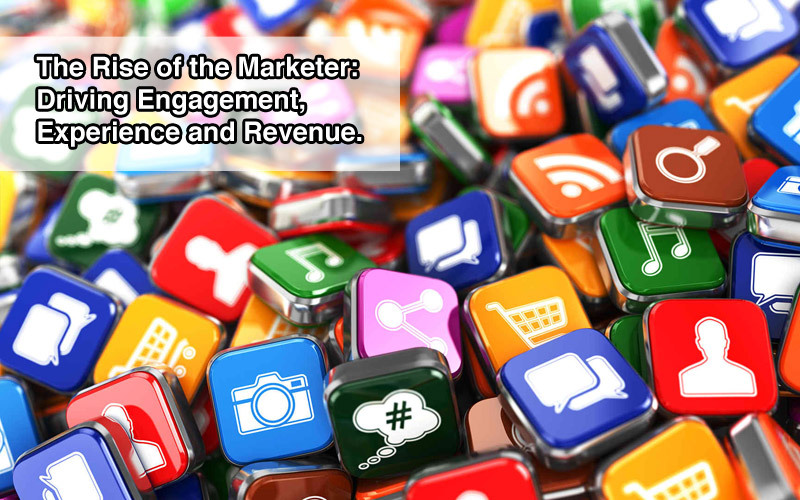 Marketing now plays the leading role in customer relationships. Big data has become a scary word, instead of one that helps makes sense of the complexity. All these changes have brought us to this tipping point, where many forces are shaping how businesses react. In the gold mine that is mobile, we need to take advantage of the insights and engagement opportunities that have been provided to us. If we do this, the promise of mobile will be fulfilled. We will have developed the immersive relationships that consumers’ demand today and tomorrow. We cannot improve mobile engagement unless we take advantage of the deep insights from the data that users are readily sharing with us. They are giving us all of the information we need, but it’s only powerful if we act on it. And we cannot make sense of those insights unless we truly understand who our users are and how to engage them.